CourtCare was founded by Richard Ingle and Ian Brightwell in 2010. Richard has 30 years of experience in the construction and maintenance of squash courts, ranging from the provision of high-end, all-glass showcourts for the professional circuit to traditional club courts. An aficionado of the game, he is still involved in Masters squash at County level. 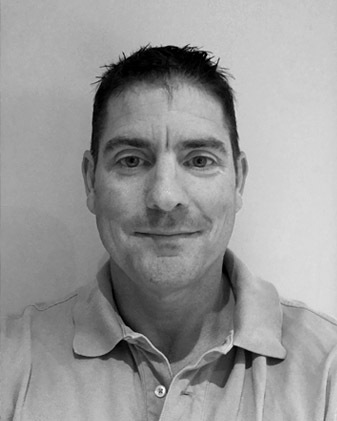 CourtCare’s Sales Manager Mick Ashworth has been with the business since its beginnings. Highly experienced, Mick has been involved in the construction of squash courts since the early 1980s. His knowledge of traditionally built plastered squash courts is second to none. The combined experience of Richard and Mick in building, renovating and maintaining squash courts is exemplary and CourtCare prides itself on the quality of its staff, and in offering a hands-on approach to all the work it undertakes. Many of CourtCare’s staff have been with the company since its inception. Richard and Mick are heavily involved in all the work that CourtCare undertakes. From receiving an enquiry, they will arrange a club visit to inspect and prepare a scope of works with the client before work gets underway. They will also make regular visits and milestone checks throughout the work as well as following up with the client after the work has been completed. CourtCare is proud to have longstanding relationships with many of its clients. CourtCare is proud to be the sole agents for ASB in the UK and Ireland.